Dr. Anmuth was very welcoming and immediately put my daughter at ease. He is high energy and makes his patients feelcomfortable. He listened to everything I had to say and was able to offer suggestions to try at home prior to our next appointment. Dr. Anmuth was very welcoming and immediately put my daughter at ease. He is high energy and makes his patients feel comfortable. He listened to everything I had to say andwas able to offer suggestions to try at home prior to our next appointment. Doctor was very attentive and thorough. Explained everything clearly and listened to all my questions and thoughts. Visitwas for my 8 year old son, but he also treats adults. Awesome with kids and very pleasant and fun demeanor. Would definitely recommend! Doctor was very attentive and thorough. Explained everything clearly and listened to all my questions and thoughts. Visit was for my 8 year old son, but he also treats adults. Awesomewith kids and very pleasant and fun demeanor. Would definitely recommend! 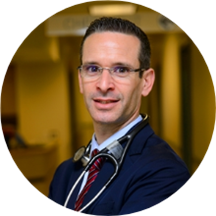 Dr. Anmuth joined the Pediatric Lung and Allergy Center (PLAC) of Fairfax Neonatal Associates in early 2018. He moved from Houston, TX where he built a thriving allergy practice until he was recruited to PLAC. His main goal is patient and family education. He strongly believes that proper awareness, guidance and treatment will enable those with allergic disease to live fuller and more active lives. Dr. Anmuth grew up in Philadelphia, PA. His strong belief in a healthy lifestyle often leads him outside, riding his bike, running the trails, or finding scenes to photograph. While in Houston, he was active in the community both medically and socially, and numerous times was recognized by Houstonia Magazine's "TOP DOCTOR" as voted by his peers. He is married with one child and is very excited to be back on the East Coast. Dr. Anmuth is the first doctor we have seen in a long time that did not rush the appt at all and took the time to listen to everything we had to say. He was patient, kind, eager to listen, andgave us the pros and cons of all the treatment options for our 4 month old. Highly recommend him! The entire staff at this office was phenomenal, even giving our 2 year old some keepsakes to entertain her both during her brother's appt and for the ride home. Dr. Anmuth was very thorough, making sure he addressed all of our concerns and accommodating each request I had with an on the spot treatment plan and recommendations. He was very knowledgeable, patient, and had good beside manner. I felt immediately comfortable! Could improve on referring patients that require a more specialized care. Dr. Anmuth was awesome! He was very thorough and took the time to listen and find out what was wrong. Great bedside manner. If only all drs were this caring and thorough. He is an awesome doctor. Highly recommend him so glad I found him. I have put this off for years and I am optimistic about getting some relief from the Allergies. Will be going back in the next couple of weeks for testing. Excellent visit, everyone was very professional and nice. David was able to provide some constructive means of fixing some of my issues as well as develop a plan for tackling the rest in the future. What I liked most was hisuse of testing and data to drive his decisions. Looking forward to future visits. He is very detailed about his review of your symptoms. He wants to be sure he is addressing the issues. I really appreciate that about Dr. Anmuth. He was very friendly to the patient and took time with her. He was very thorough. Dr. Anmuth was very professional and personable with an approachable spirit. He listened completely and asked if I had any questions. He reviewed with me my overall appointment synopsis and did not try to push a lot of additional services, tests,medicines on me. I enjoyed the visit and appreciated the prognosis. Dr. Anmuth was really thorough in going over the possible causes of my eczema, and how to treat it. Dr. Anmuth was great. We were seen very quickly, yet he spent a great deal of time with us in the room. He spoke directly to my son and listened to all our concerns. We left feeling very comfortable. I highly recommend Dr. Anmuth. Dr. Anmuth was great! Did not rush me and listened to all of my concerns! I'd high recommend! Dr. Anmuth listened to me - and did not just want to figure out a quick fix to my allergy and asthma problems, but wants to find a solution. Extremely professional, my first visit and cant wait to get started on a regiment that he recommends to control my allergies. Very friendly and honest .